I received a phone call from Mr. Smith about a problem he was having with his neighbor Mr. Jones. They were in a boundary dispute over the location of a fence recently constructed by Mr. Jones. I warned him that if he hired me my opinion may not be in his favor. Mr. Smith signed the proposal so we began work on the project. The project was in an area that I was very familiar with near the medical and museum district in the heart of the large city where I practice. The subject property was several fractional Lots and an apparently abandoned alley in an old recorded subdivision from 1905. The land in this area was extremely valuable and the subject tract consisted of a commercial building and an asphalt parking lot. Mr. Smith’s Deed was pulled and it appeared that he had purchased the subject property under a Warranty Deed from Mr. Sparkle (seller) in 2007. It contained a written description of the subject property signed and sealed by Mr. Jake Leg, PLS. It also contained a stamp to return it to a prominent Title Insurance firm so Mr. Smith was questioned to see if he could produce a copy of a Title Policy. Mr. Smith could not produce a copy of the Title Policy and under further questioning it became apparent that Mr. Smith had probably purchased a lender policy only. I told him to contact his lender to see if he could obtain a copy of it. The alley formed the southerly portion of the subject property. The surveyed description by Mr. Jake Leg mentioned the alley as it passed along its southerly boundary but contained no information on the instrument that would have abandoned it. After the initial field visit it appeared that Mr. Smith and Mr. Jones were fighting over the south ½ of the alley that was contained in Mr. Smith’s Deed. Mr. Smith was north of Mr. Jones and the old alley was between them. Mr. Jones had built a fence down the middle of the old alley which prompted Mr. Smith to call me. Mr. Jones’ Deed was pulled and it made no mention of the alley but was for the fractional Lots adjoining the alley to the south. A partial chain of title was pulled for Mr. Jones going back 2 transactions dating to the early 70s. The alley was never mentioned in any of them. The current tax map showed Mr. Smith owning the entire alley. At first blush it appeared that Mr. Smith may have some merit to his complaints about Mr. Jones. Mr. Jones was interviewed to see if he might have any documents that could shed light on this problem. Although Mr. Jones would produce no documents he insisted that he was the owner of the south ½ of the alley. He complained bitterly that he could no longer access his parking lot behind his building without use of the alley. It seemed unusual for the entire alley to end up in the hands of one party but not impossible. In a typical reversion ½ of the alley would go to the south adjoiner and ½ of the alley would go to the north adjoiner. However if Mr. Smith and Mr. Jones’ title had merged in the past when the alley was abandoned this condition was certainly not beyond reason. I partial chain of title was pulled on Mr. Smith to see if the instrument abandoning the alley could be located and to find out if a title merge with Mr. Jones could be found. The old tax maps from 1993 were also pulled to see if it might contain any information on the alley. The results of this effort were shocking. The old tax map showed the alley still being owned by the City. The partial chain of title for Mr. Smith dated to 1984 through 2 transactions. The northerly fractional Lots were mentioned but not the alley in the 1984 transaction. The next transaction in 1994 contained descriptions for 2 parcels. The first being the northerly fractional Lots and the second being “all the interest I may have in the alley south of the first parcel.” This description was conveyed to Mr. Sparkle (seller) who sold the subject parcel to Mr. Smith in 2007. However the conveyance to Mr. Smith had changed again from the 1984 description and the 1994 description and now described the northerly fractional Lots and the alley as a single property. None of these descriptions mentioned the instrument abandoning the alley. They did contain information that suggested that no merge of title between the properties on either side of the alley had ever occurred at anytime in history. This prompted a search for the instrument abandoning the alley in the public records with no results. I called Mr. Smith and told him that it may be necessary to hire an abstractor to track down the alley abandonment instrument. I told him it seemed highly unlikely that his predecessor in title could have obtained the entire alley in a reversion. Mr. Smith told me he had a box of old papers he found in a building on the property when he purchased it. He said I could come down and look at them if I wanted to. This was a typical reversion as I had suspected and indicated that Mr. Jones was correct and in fact did own ½ the alley. This implied that the description for the subject tract going into the seller of the property to Mr. Smith had been interpreted incorrectly when the property was sold to Mr. Smith. Either Mr. Jake Leg, PLS or the Title Insurance firm had taken the wording “all the interest I may have in the alley south of the first parcel” to mean “the entire alley” in the description into the seller. Thus Mr. Jake Leg, PLS had written a new description that encompassed the entire alley for the sale of the property to Mr. Smith. The seller of the subject property never owned the south ½ of the alley they sold to Mr. Smith. The south ½ of the alley was worth 30 thousand dollars. I prepared the survey along with an attached Surveyor’s report and sat down with Mr. Smith to explain the results. He was angry and upset when I told him that his neighbor Mr. Jones was correct and how this problem had occurred. I told him that he had a good chance of recovering the money he had paid for the south ½ of the alley however. This seemed to make him feel a little better. I gave him the number of a good real property lawyer that I know. Mr. Jones sued the seller who in turn sued the Title Insurance Company who in turn sued Mr. Jake Leg, RPS. Last I heard Mr. Smith had executed a Correction Deed with the seller and they had settled for some 50 thousand dollars. 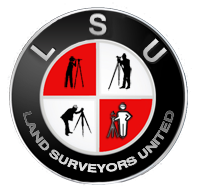 I do not know about the outcome of the suit by the seller against the Title Insurance Company but the Land Surveying Company Mr. Jake Leg, PLS worked for is now out of business.